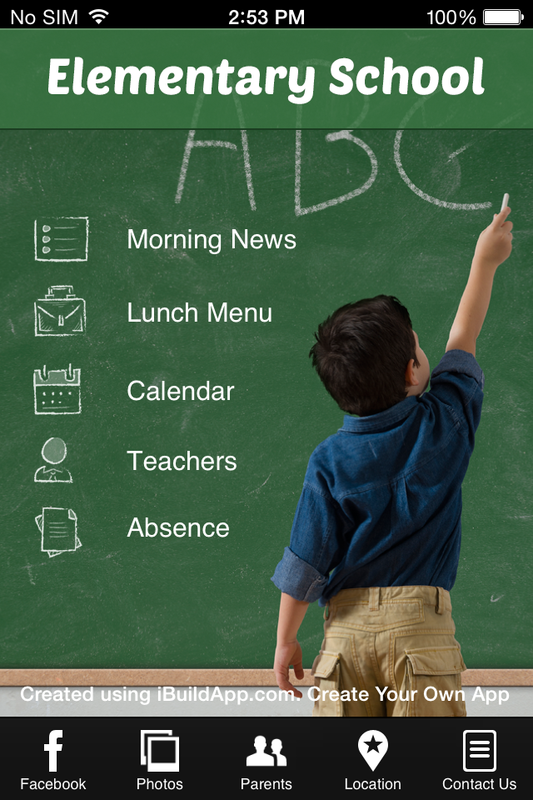 At iBuildApp we are known for providing ways to build small business apps within minutes. One of the ways we help you with building your mobile apps is offering pre built apps that cater to different industries. These apps are great because you don’t have to think about what buttons or tabs need to be included for your company. Although we encourage business branding and your own personal touches you can technically just grab one of these pre built mobile app templates, throw in some text and logos and publish it. Although iBuildApp currently has a vast pre built template library with options for photo studios, restaurants, coffee shops and more, we want to give you even more templates to help every industry we can. Without further ado, here are the brand new pre built templates you can find in the iBuildApp dashboard. 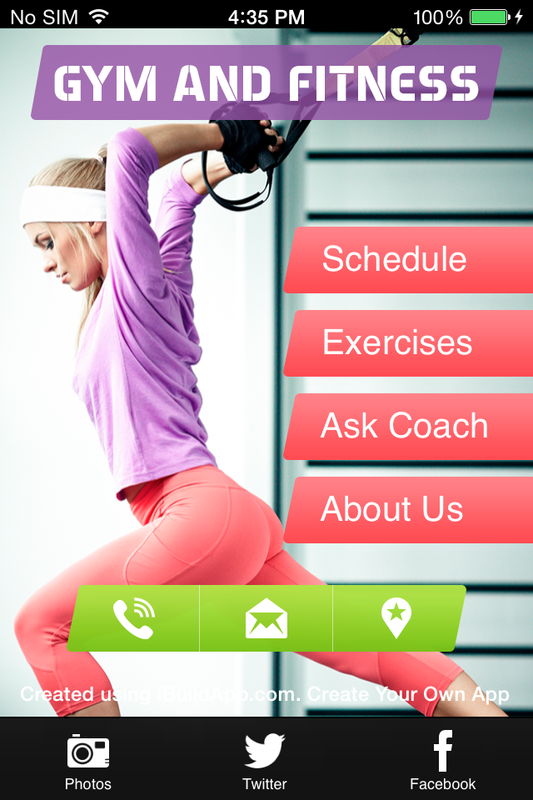 We understand that with all the trends and health kicks there are new types of fitness companies emerging every day. 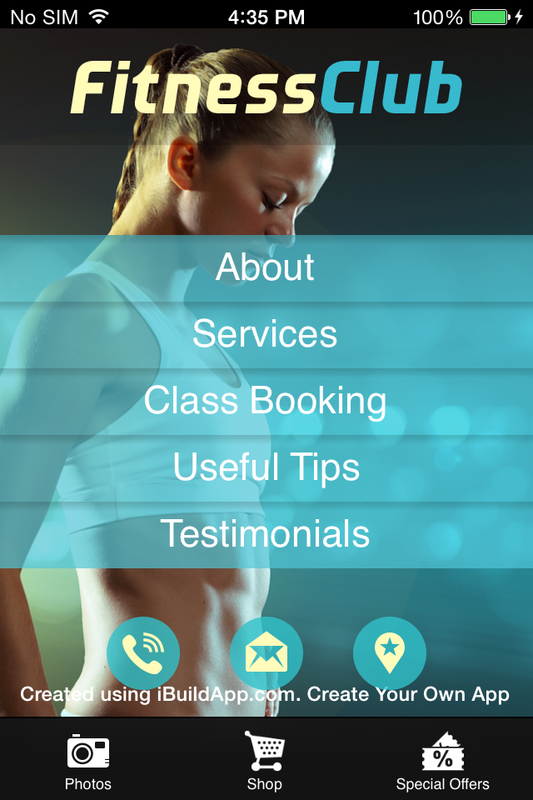 All fitness clubs and programs have their own markets and branding efforts that require a certain look on your mobile app. 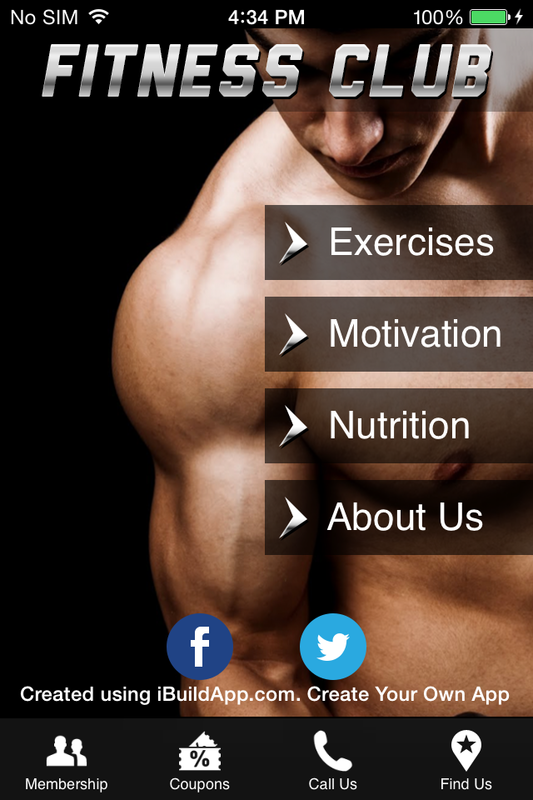 That’s why we created five new health and fitness apps that cater to fitness clubs with male and female members. 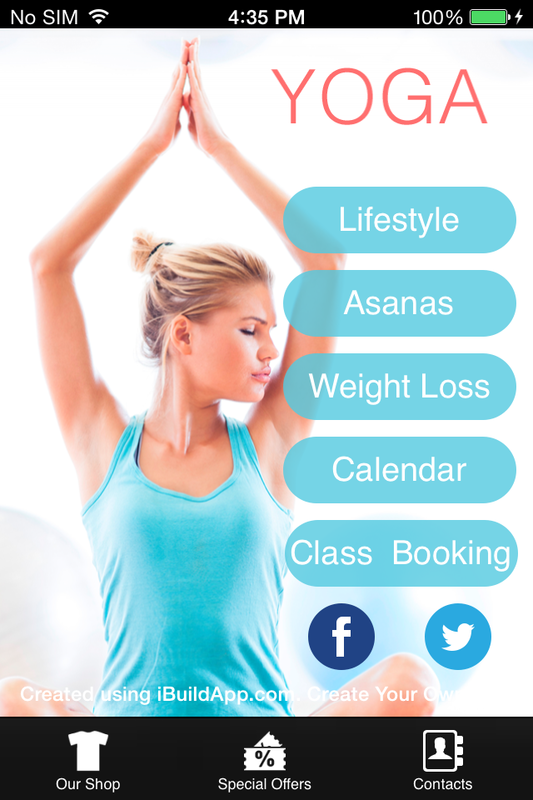 There’s also two mobile app templates that feature pilates and yoga studios. Buttons include testimonials to push people to your studio, quick call and email buttons and even booking buttons for instant scheduling. 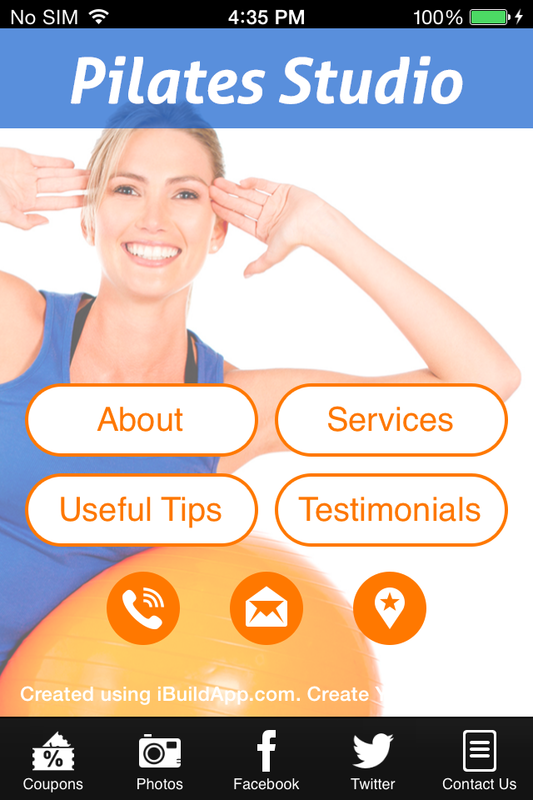 Along with our health and fitness mobile app templates we developed small business apps just for the healthcare industry. 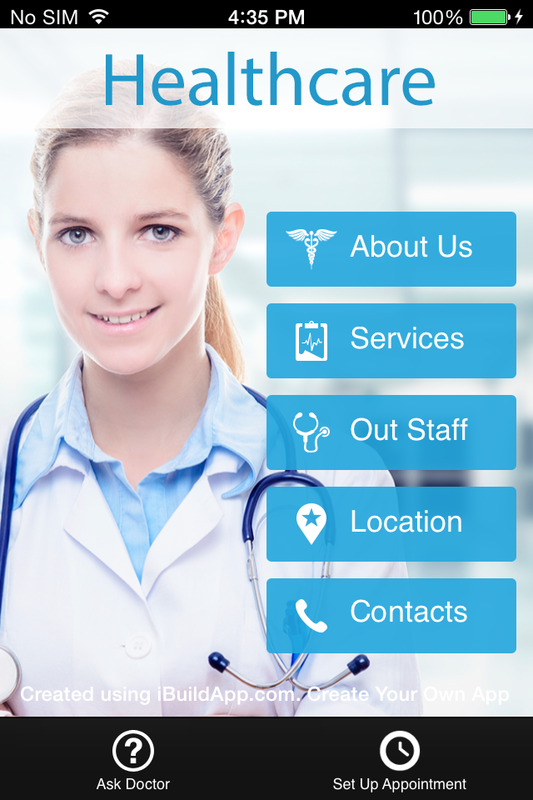 If you run a hospital, doctor's office or anything in the healthcare industry this mobile app is perfect for you. Display a little about your services, give people a direct map to your location and allow folks to setup a fast appointment. 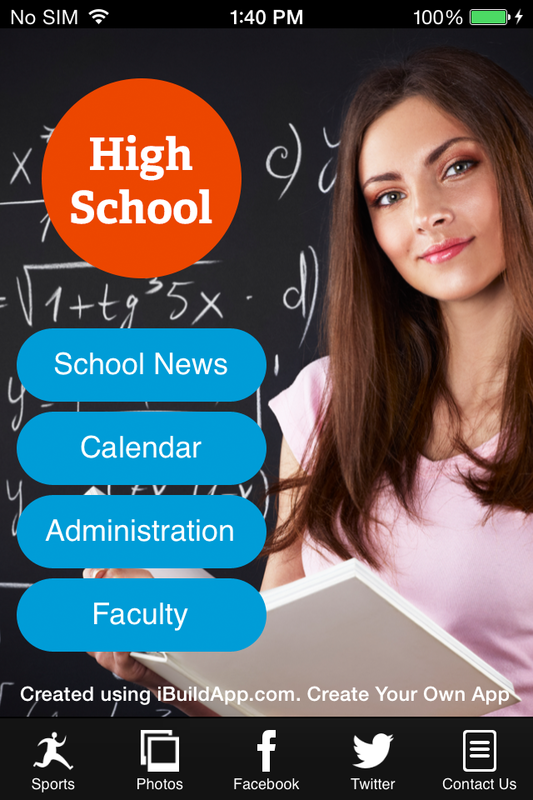 We’re seeing tons of schools embrace the mobile app world. 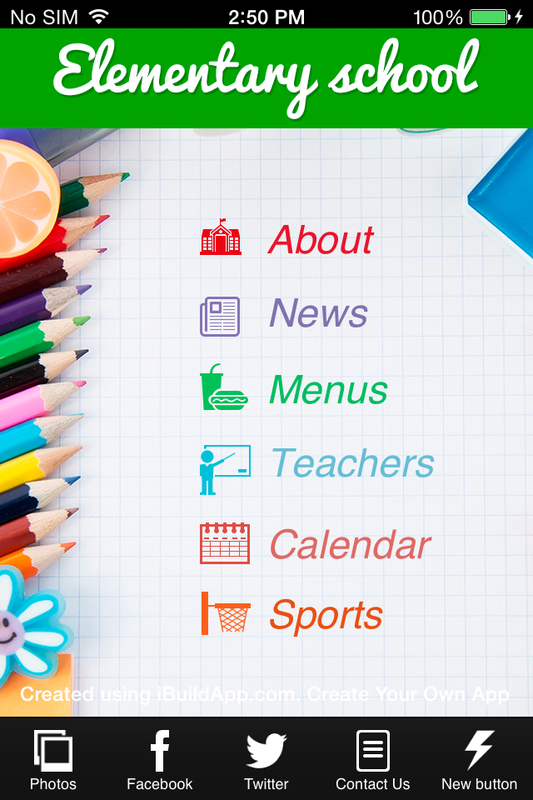 Many of our current customers include high schools and elementary schools that post class schedules, upcoming events, lunch menus and instant access to teachers. 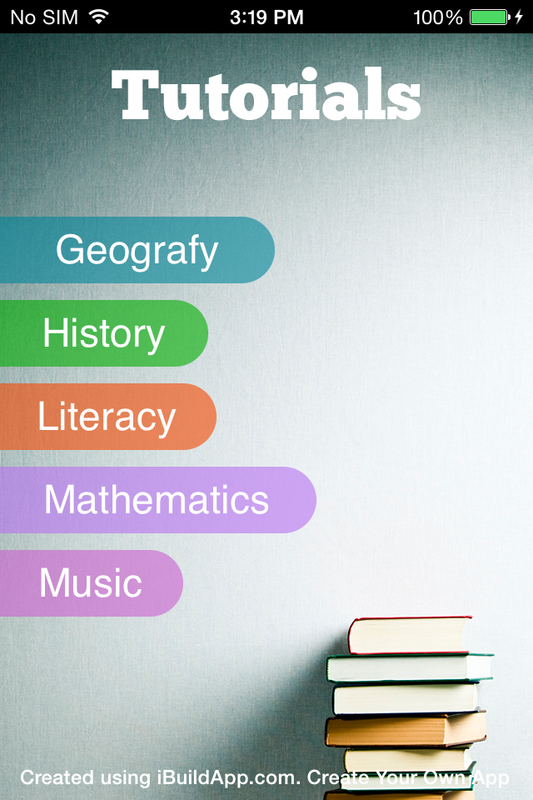 So we created two mobile app templates for elementary schools, one for middle schools, one for high schools and one for people who want to make a business out of educational tutorials. 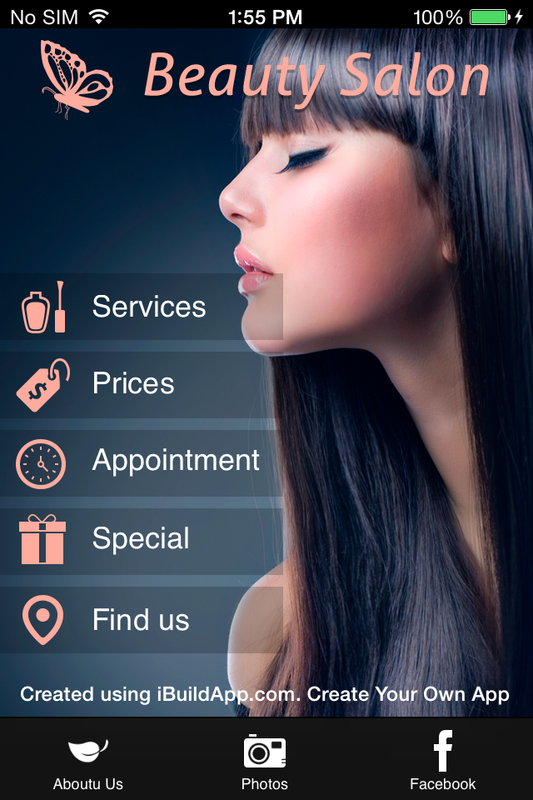 Salons have all different types of business services, so iBuildApp wants to help every little niche. 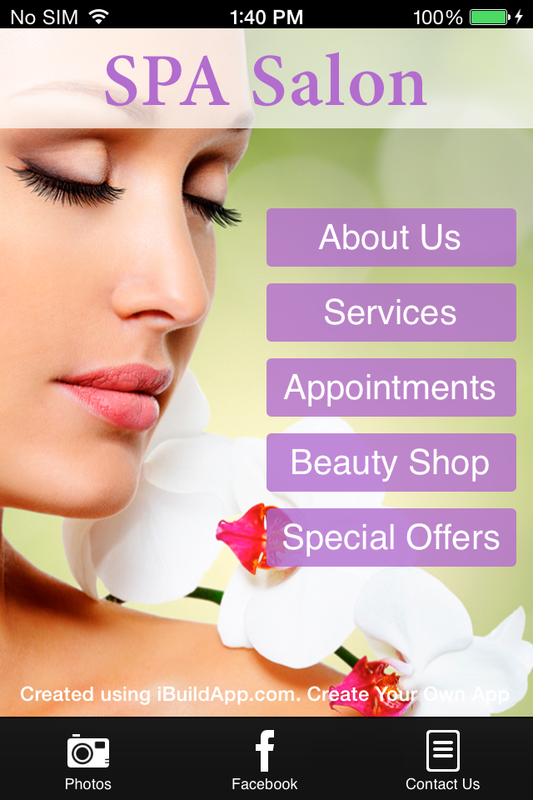 We have two brand new salon apps: One for a spa salon and the other for a beauty salon. They both feature beautiful models on the homepages, and you receive preset buttons to showcase special offers, photos and services. 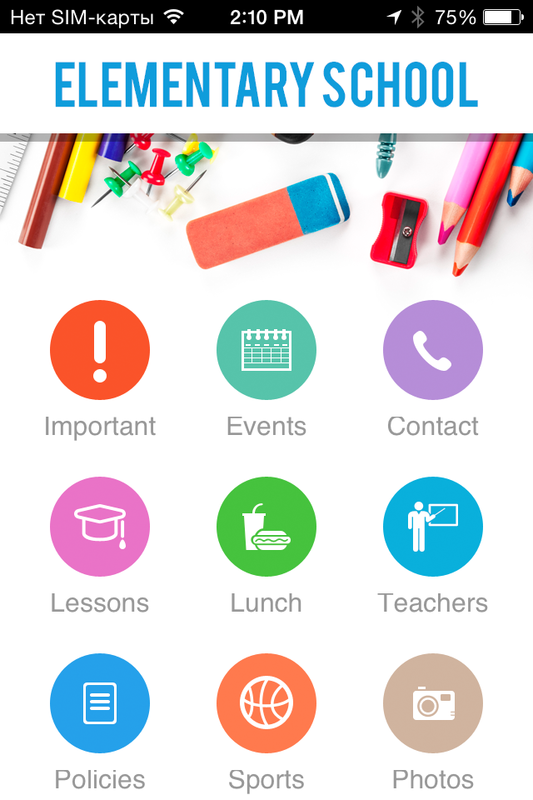 We particularly like the appointments buttons so that returning customers can simply download your app and click a few buttons before they come in for their next appointment. It cuts down on scheduling time for you and you can even send out push notifications if you have a new special coming up. Let us know in the comments section if you have any questions about these brand new small business apps templates in the iBuildApp dashboard. Explain to us what you like about them and share your thoughts on other templates we can build small business apps in the future.